We focus on various plant-plant, plant-soil and plant-animal interactions. Plant-plant interactions include studies dealing with intraspecific and interspecific competition. Plant-soil interactions include studies of plant associations with arbuscular mycorrhizal fungi (AMF) and other soil microorganisms in controlled conditions as well in nature. Plant-animal interactions include impact of grazing on plant performance and plant adaptations to herbivory, impact of seed herbivory on performance of rare species and presence of pollinators and their ability to pollinate plants from grasslands and from tropical forests. One of the main research interest of our lab is studying intraspecific and interspecific plant-soil feedbacks and their effects on plant competition and on invasive success of plant species. Climate change represents one of the greatest challenges for natural plant and animal populations. We study how the plants are able to face novel climatic conditions. We explore to what extend plants are able to respond to climatic variation by plastic responses and by genetic and epigenetic differentiation. We are also interested in how the plant performance in novel climates is affected by changes in plant-animal interactions as these interactions are expected to be strongly modified by climate change. We are using a climate grid of independent sharp temperature and precipitation gradients in western Norway and long elevation gradients in Himalayan mountain range as study systems. We closely collaborate with the Ecological and Environmental Change Research Group of the University of Bergen, Norway. Phenotype and behaviour of plants can be influenced by the environmental conditions experienced by previous generations. These transgenerational effects may be mediated by epigenetic mechanisms in which gene expression and thus phenotype are altered through heritable changes in histone modification or cytosine methylation. We aim at the role of transgenerational effects in ecology, evolution and behaviour of plants. We are focused mainly, but not exclusively, on clonal plants for which transgenerational effects have been only rarely studied. We also investigate whether epigenetic memory and communication between ramets enable association learning in clonal plants. We study plant performance by evaluation of plant life cycle aiming at identification of its critical phases, evaluate genetic diversity, absence/presence of pollinators or other biotic interaction. We also evaluate environmental requirements of plant species and suitability of their habitat including effect of habitat fragmentation. 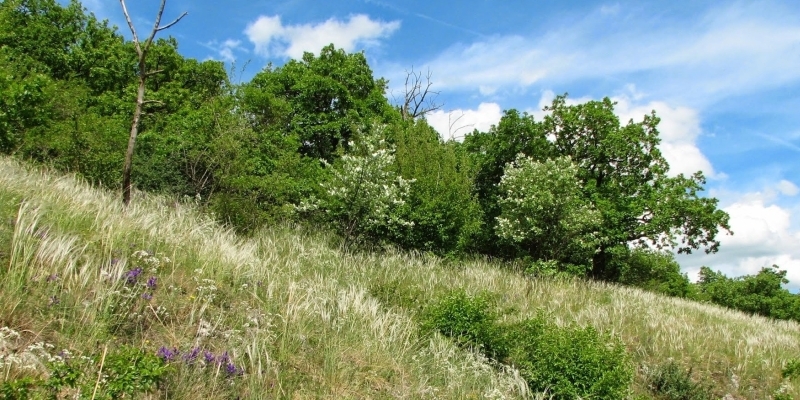 In cooperation with state organs of nature protection we used these results to suggest suitable management interventions on particular sites and appropriate care about plant populations in the nature as well as in ex-situ population. We also take part in preparation and updating official documents such as Management plans or Action plans for various rare and endangered species and habitats. We also evaluate the impact of management interventions on particular species and communities. Together with Jitka Klimešová (Dept. of Functional Ecology, Třeboň), we explore other dimensions of functional differentiation of species than those captured by plant economy spectrum, competition for light and dispersal capacity (the Leaf-Height-Seed differentiation). In particular, we study functional differentiation of clonal traits. We showed that these traits have better predictive power both for species abundance and distribution within habitats in the Central European flora and are essentially unrelated to the LHS differentiation. Clonality further acts as safeguard when sexual reproduction is impaired (by adverse conditions, pollinator limitation or intrinsically, e.g. by polyploidy). We perform comparative phylogenetic analyses of large species sets to determine both association of clonal traits with parameters of species niche along a number of gradients, and develop hypotheses on their evolution in response to changes in the species niche. In addition, we also study evolution of a wide range of other traits with the main focus on the evolution of dispersal traits on islands. We focus on spatial and temporal dynamics of species in plant community, interactions between species both aboveground and underground and test mechanisms of species coexistence in the community. We primarily observe the processes on small scale and in grassland communities in the mountains. Understanding the consequences of polyploidization is a major step in the attempt to understand species diversification. Within our research we are primarily interested in the consequences of polyploidization for species performance and for dynamics of populations of polyploid species. To do this, we study distribution of different cytotypes of polyploid species in natural localities, explore environmental conditions at these localities as well as their genetic differentiation. Under controlled conditions, we study performance of the plants under different environments. Importantly, we have also developed synthetic polyploids of our models and use them to separate the true effects of polyploidization from effects of their subsequent evolution. We are also interested in the evolution of breeding barriers between the cytotypes and in the effects of polyploidization on plant-herbivore interactions. Plant populations only rarely evolve and exist independently of their surroundings and landscape context. We study patterns of species diversity and distribution in relation to landscape characteristics such as environmental factors, landscape configuration and landscape history, but also to species characteristics such as local population dynamics, species dispersal abilities and other plant traits. We examine the determinants of species distribution both at the level of individual species using species-specific spatial models and at the level of whole communities using comparative analyses and regression models. Our landscape-level research is mainly focused on grasslands with the attempt to better understand their high species richness.